You may have already seen the note on the front page, but we are looking to modernize our website header as the current one we have has been there since around November of 2004. So, if you have (or know someone who has) graphic design knowledge and can help us out, please let us know as soon as possible. Information about the specs can be found by e-mailing header@habsworld.net. We did make one small change yesterday, experimenting with making some of the sections red instead of the usual blue. Like it? Hate it? Didn't even notice the difference? Love the red borders. Keep 'em. I have no idea how to design these sorts of things on computers, so I'll just wish you godspeed. Not sure about the red. I'm terribly unobservant for design issues, but I did notice it was brighter. Never put two and two together, though. Looks sharp. I am also an idiot when it comes to design. I am blissfully comfortable not having anything to do with the design of my own website other than some vague direction and "yeah, that's cool" feedback about the logo. Let me make one small suggestion. If possible, the player images on the banner (right now it's Cammy) would ideally include images from our storied past as well as the present. For instance, I can imagine a collage of Morenz in black and white, a sepia-toned Believeau, and Markov; or Plante, Roy hoisting the Cup, and Price. That sort of thing. The unrivalled past is the Habs's trump card and we should play it. Or since it is HabsWORLD, why not play the international card with a picture of Mariusz Czerkawski? He knew 5 ot 6 languages.. wouldn't he be the perfect guy there on the homepage? Thanks for the suggestions and keep them coming. We got someone this afternoon who offered to create some new design, and I'll let him know to read this thread for suggestions and comments. Is there a deadline to this? Things are work are crazy right now, but I'd like to do something later on in the year, maybe rotating player pics as suggested by the Cumber. I hadn't thought of that honestly. I like that idea. I'm not sure a collage is doable but a mixture of rotating players between the past and present is worth considering. We didn't really have a deadline in mind. Honestly, the talk of changing headers only came about a week ago when I had a suggestion for what to replace 'The Canadien' with so we're not really set with any sort of timetable. Exact, and if get multiple nice header proposals, we'll alternate during the season. The current one is only a temporary hideous one I created myself, in order to incite real graphic designers to stand up for us! Thank god. I was a little worried when I logged in. We finally have a brand new HW header ! What do you think? I like!! Except for the floating Bulldogs logos, which (I feel, and with a due respect to Bulldogs fans) cheapen the effect. It might be better to put an image of Carey Price in that space. Nice work, though! Try "F5" or refresh. Your browser still has the old copy in cache. 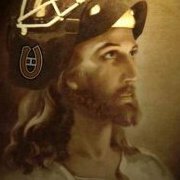 We want to acknowledge the Habs affilate teams in there, especially since HW writers spends a good deal of time on them and the prospects. And you can see the progression from ECHL to AHL to NHL, so there's a theme in there! Yah, I figured it out. Nah, it was the browser thing. It wasn't the Canadien; I was seeing half of the temporary one. Del also added some legends for the players rotation on the left! Del also gave us a new Forums header too ! What a nice piece of work! Thank you so much!